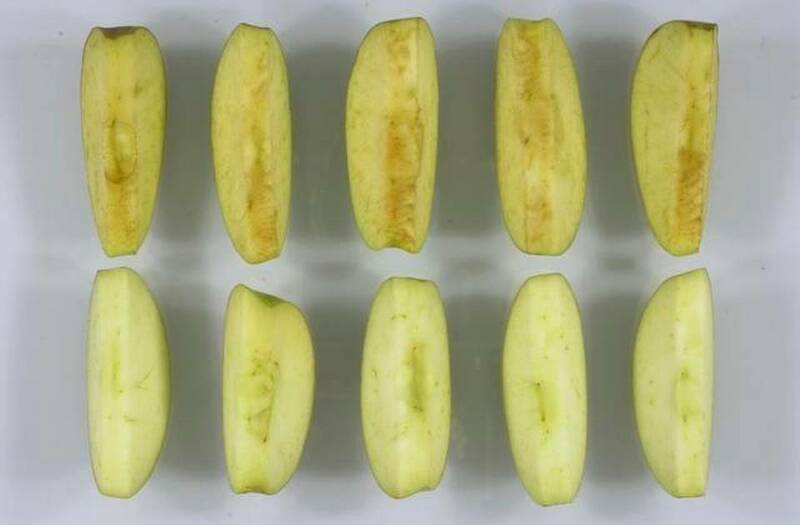 The U.S. Department of Agriculture on Friday gave approval for the commercial planting of apples that are genetically engineered and resistant to becoming brown after being bruised or sliced. Okanagan Specialty Fruits, the developer of the apples, said it believes the feature of non-browning will become popular with both food service businesses and the consumer because it makes the sliced apples remain more appealing to the eye. This feature could reduce the amount of apples thrown out as well due to bruising. However, many executives with the apply industry said they are worried that the genetically engineered apples, while safe for eating, would come up against opposition from certain consumer, possibly tainting the image of wholesomeness of the fruit that has for years reportedly kept your doctor away. They are also concerned that it might hurt exports to countries that are not in agreement with receiving foods that are genetically modified. The USDA, which approved the commercial planting of the apples, said Friday that it considered the same issues but that under the law, the approval is based upon whether a crop that is genetically modified is a threat to other plants. The USDA determined that there was no such risk from the apples. 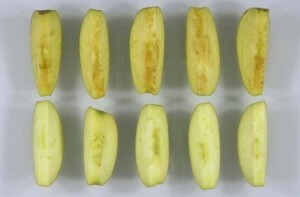 The Arctic apples, which include Golden Delicious and Granny Smith varieties, are genetically engineered to suppress the production of one enzyme that causes the browning of an apple when the cells of the apple become injured for example by slicing it. However, over a period of time, the apples will eventually turn brown and rot. This past November, the USDA approved a potato that was genetically engineered that uses a technique that is similar to prevent browning. The apple joins a few other types of genetically modified produce including some types of sweet corn and papaya. The majority of the food that is genetically modified that is eaten by Americans is processed, containing different ingredients made from engineered soybeans or corn. The new engineered trait for the apple is one of just a few that is meant to appeal to the consumer, as most have thus far been herbicide resistant or insect resistant, that were aimed at helping the farmer.